“These new AutoLabel Printers have been engineered with technology that provides higher quality printing, longer life and easy maintenance,” says Chris Rempe, Vice President of Global Marketing. “Network integration is easy with USB, ethernet, serial and parallel port connectivity,” he adds. 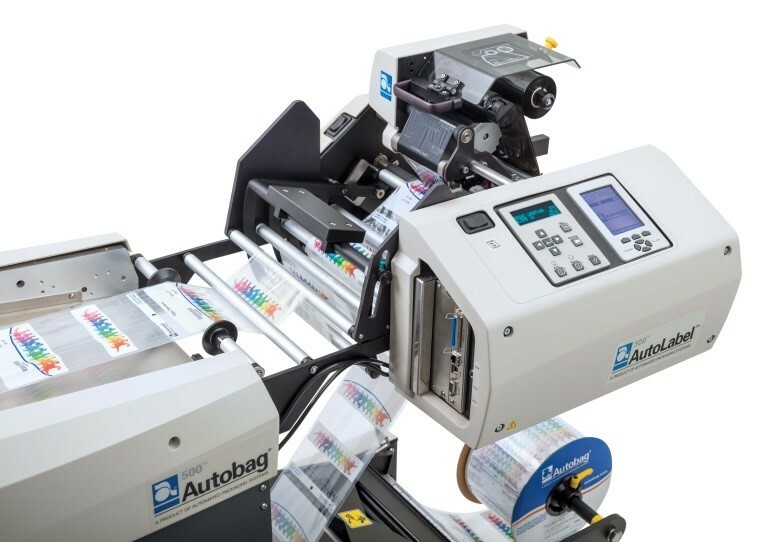 Automated Packaging Systems, the world leader in high-reliability bagging systems, has introduced two new printers to complement its new line of Autobag® baggers. The new AutoLabel 500™ and AutoLabel 600™ Thermal Transfer Printers are specifically designed for fast and accurate inline printing, improving productivity by eliminating the need for a separating labeling operation. AutoLabel printers apply labels up to 4 inches wide x 20 inches long directly on the bag. They support both linear and 2D barcodes in a wide range of fonts and symbols for maximum flexibility in product identification, tracking and compliance labeling. Resolution options up to 406 dpi are available, ensuring the highest quality graphics, text and barcodes. When used with genuine AutoLabel Thermal Transfer Ribbon, print quality is guaranteed durable, resisting scraping and flaking that can compromise readability. The AutoLabel 500 is designed for use on the Autobag 500 bagger, while the AutoLabel 600 is designed for use on the new Autobag 600 wide bagger. Both printers boast a tilting printhead for easy maintenance, and a Target Registration Control feature that enables precision adjustments to 1/16 inch.